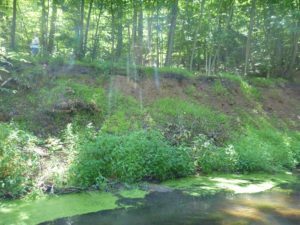 Trout Scapes is proud to announce that the NJ Division of Fish & Wildlife has hired our firm to restore a badly eroded bank that has a popular walking trail along Capoolong Creek at the Capoolong Creek Wildlife Management Area in Pittstown, in Hunterdon County. 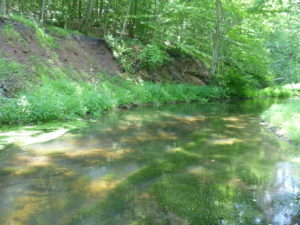 This stream is a wild brown trout stream that is popular with anglers as well as hikers and dog walkers using the access trail along the stream. Loss of this hiking trail to further bank erosion would mean a total loss of access into this popular Wildlife Management Area as the existing 15′ right of way abuts a private property. Also, the bank’s erosion has added tons of sediment into the pool below as well as throughout the reach immediately downstream. 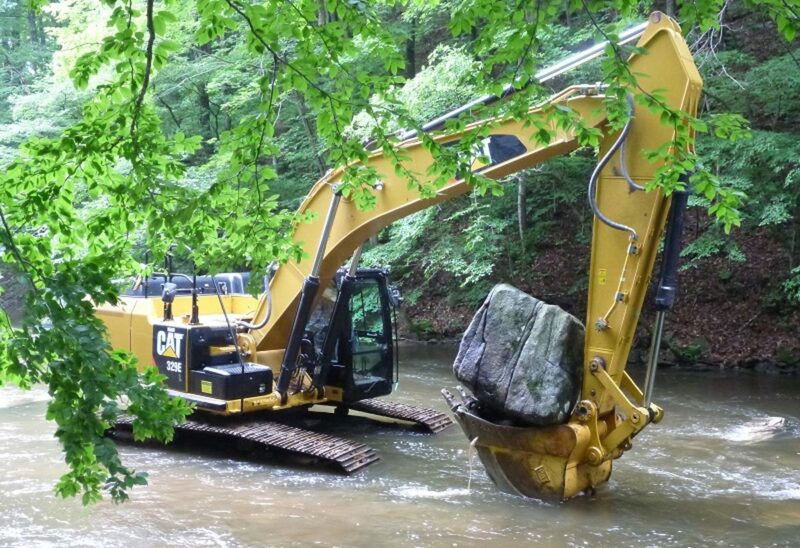 Restoration efforts will include soil bioengineering of the bank, in-stream restoration to include pool and riffle restoration for trout habitat, and native willows and riparian seed mix planted during construction which is slated for summer 2017. 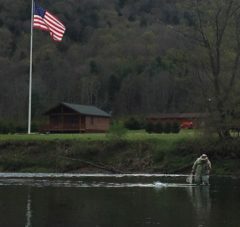 Stay tuned for progress on this and many other Trout Scapes projects coming this year…..